Yesterday I run 10 km together with my running pal and @holydog. The cover photo shows Olivia (the cat of my running pal), a little worried about the presence of @holydog, a dog unknown to her before. I ran barefoot, trying to make a progressive run, although @holydog often wanted to stop to sniff and mark the territory. The recovery of heartbeats after training was good. I love @exhaust because, unlike @actifit, it allows me the freedom to post my activity even the day after. Tell me about your experience in a comment or link me an article from your blog. Thank you! This Giveaway follows the rules of @contestkings: following me, resteeming or upvoting are up to you. If you do it, I will appreciate very much! 💯 First run after a long while! 😂 (Barefoot) 🦶 - 9.31km @ 06:26 min/km pace. Sunday morning 💯% barefoot running 🤪 - 10.028km @ 6:36 min/km pace. Over these 2 similar activities, you have travelled approximately 19.34 kms at an average pace of roughly 6:31 min/km! Thank you, exhaust: a little at a time, I'll be back in shape to be able to run decently! Thank goodness for different file formats! Woohoo! Very well, can't wait for the new improved BETA! Thanks for your help and creativity, @mstafford! Congratulations! This post has been upvoted from the communal account, @minnowsupport, by ✅ amico 🐬 from the Minnow Support Project. It's a witness project run by aggroed, ausbitbank, teamsteem, someguy123, neoxian, followbtcnews, and netuoso. The goal is to help Steemit grow by supporting Minnows. Please find us at the Peace, Abundance, and Liberty Network (PALnet) Discord Channel. It's a completely public and open space to all members of the Steemit community who voluntarily choose to be there. Cerco di stare spesso a piedi nudi: Mo avere il contatto diretto con il terreno e spesso in casa tendo a "perdere o dimenticarmi" le ciabatte...🙄 Da bambino penso che fino a 5 anni non ho mai voluto un paio di scarpe. Da questo punto di vista l'estate è sicuramente la stagione migliore per non indossare calzature ed essere a contatto diretto con il greco pavimento. Grazie per la tua testimonianza, carissimo Moncia! I tuoi piedi nudi presto saggeranno i terreni e le spiagge dell'isola d'Elba, allora? Un caro abbraccio da @amico! OMG! 😂 Last time I have been bitten by a honeybee was on my arm a few years ago while I was greedily collecting a ripe fig: It's an unforgettable experience, isn't it @lologom? Of course I remember how much I liked to be barefoot when I was a kid, especially if it was when I played in my living room with my sister at the competitions. How nice it is to remember and feel the sensation of freedom that we had. Nothing compared to these times, currently my baby does not like to be barefoot but sometimes I do it because it is necessary for his motor skills. Oh yeah, you do very well for his motor skills! Try a gamification of the activity! Good to know you'll go to Vietnam for 11 days: that's really cool! On Sunday, we'll fly to the Maldives, for 8 days swimming in a sea that looks like an aquarium: I haven't been there for many years and I wanted to give my daughter a birthday present, which she never visits! @janicechua was there a little while ago and made some great @dtube videos! Walking barefoot on land and sand is great... go on like this! Thanks for stopping by, @sumit71428. I'm glad you appreciated my sporting effort. 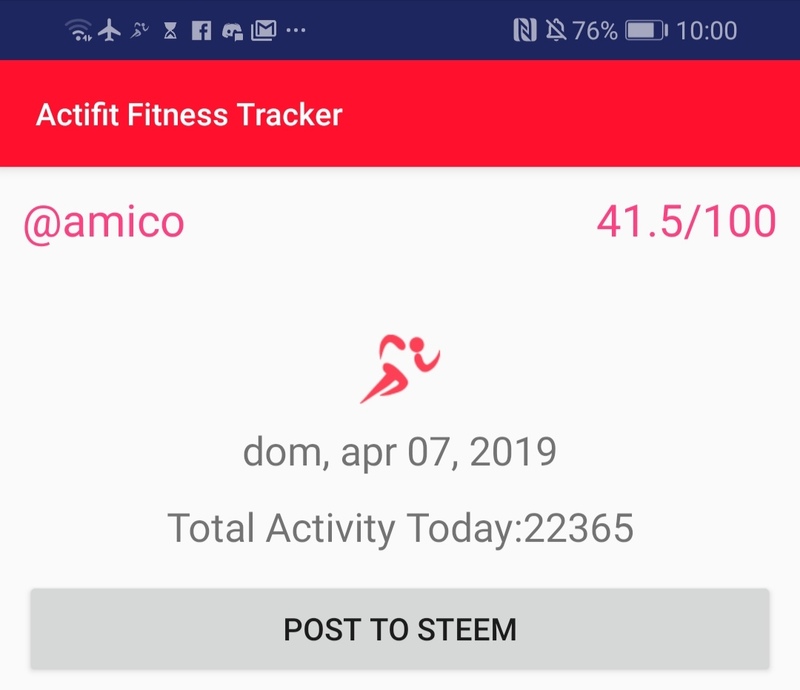 In future versions of the @actifit app, will be implemented the possibility to post on the blockchain also the next day? It would be very nice! What do you think, yesterday's top actifiters? (@runridefly @cryptospa @blueeyes8960 @thereikiforest @bluengel @mhm-philippines @ketcom @practicaleric @roger5120 @d00k13 @browery @felt.buzz @lightsplasher @sunny1124 @flaxz @rogernfl @behelen @shashiprabha @actifit-peter @crypt-skip) Could be useful? Ma daih, ahahhahahh! Chissà da dove arriva tutta questa tua "schifiltosità"??? - Hai qualche idea? - O, meglio ancora, che sensazioni provi (o provavi)? Ah guarda, @elikast: dovresti venire un po' a spasso con me, e ti faccio passare io tutta la tua schifiltosità! ^_^ Oltre a essere grande nuotatrice, io scavo così tanto che prima o poi troverò il petrolio, sai? Ringrazio @amico per avermi "dato voce"! Man, I love it on the beach for sure. Now I can't stand it. Getting old is lame and you are crushing me on your count but I started to use Actifit a little. Accept to grow old and you will do it happily: it is a wonderful experience and a privilege of a few, you know? What didn't enjoy you? Is it the idea or the sensations you feel doesn't like you? Yes, she's really cute! Aren't you afraid to crush something you don't see in the grass? I loved being barefoot as a kid, and an adult. I'm barefoot when I'm home and enjoying my yard. Great, you do very well! Thanks for your comment. Nothing like being barefoot in soft spongy grass. So exhilarating! Almost makes you feel years younger and pounds lighter in minutes! Bene che hai scoperto @exhaust: ci sfideremo a distanza! 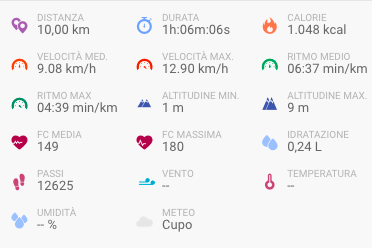 Hai risolto il problema con l'immagine di ieri sul tuo post di @actifit? 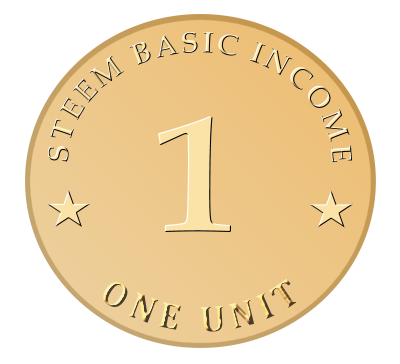 You just got a 1.21% upvote from SteemPlus! To get higher upvotes, earn more SteemPlus Points (SPP). On your Steemit wallet, check your SPP balance and click on "How to earn SPP?" to find out all the ways to earn. If you're not using SteemPlus yet, please check our last posts in here to see the many ways in which SteemPlus can improve your Steem experience on Steemit and Busy. It is said to bring luck by crushing the poop: did you get it?